Cryptozoology ("Study of hidden life") is the study of mysterious and elusive animals. There are many creationist cryptozoologists searching for dinosaurs, pterosaurs, and "ancient" sea monsters like plesiosaurs and mosasaurs. Most creationists assume the possibility that creatures like the dinosaurs, could still be alive today in remote regions. This belief is based on the conclusion that all animals preserved in the fossil record were alive at the time of the global flood of Noah, which is described in the Biblical book of Genesis. If correct, then dinosaurs existed on Earth very recently (within the past few thousand years), rather than having gone extinct millions of years ago. Furthermore it is asserted that dinosaurs were known to ancient humans and therefore could possibly still exist today in remote regions. For over 150 years, almost all expeditions to find evidences for dinosaurs and pterosaurs have been for uncovering standard fossils, not "living fossils". Funding of expeditions to search for living dinosaurs and living pterosaurs has been mostly from personal funds of the explorers. Major expeditions are as rare as the creatures the investigators seek. This has delayed officially recognized discoveries of previously unconfirmed creatures (labeled "cryptids."). 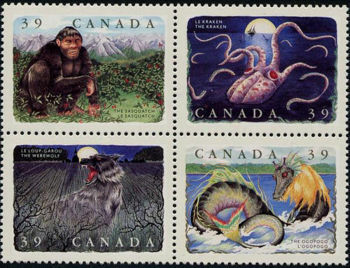 Cryptozoology has been traditionally researched with an evolutionary bias. Bigfoot theories abound with speculation as to whether they represent the "missing link". Since evolutionists believe that dinosaurs went extinct long before humans roamed the Earth, the existence of these creatures are dismissed by presupposition. Such assumptions have proven to be wrong on other occasions, such as the Coelacanth, which was assumed to have gone extinct during the time of the dinosaurs until it was found living off the coast of Madagascar. Evolutionary cryptid hunters typically speculate that some Lake Monsters evolved from Sea Serpents after their habitats were cut off from the sea over long geological ages. Interestingly, evolutionist cryptozoologists now favor zeuglodons over plesiosaurs as the possible identity of Lake Monsters like the Loch Ness Monster partly because zeuglodons are not as "ancient" and are therefore more likely to have survived to the present date. Darwin's philosophy of universal (or unlimited) common ancestry requires that ancient creatures differ significantly from those currently living to have been the progenitors of all present forms. Dinosaurs and pterosaurs seemed to satisfy this demand. While the contemporary existence of such relics is prohibitive on the Darwinian (e.g. uniformitarian, Old earth) time-scale, they are reduced to probable endangered or recently extinct species on a Biblical Young Earth Creationist time-scale. Mokèlé-mbèmbé is the name given to the creature rumored to be a living dinosaur similar to an apatosaurus. Sightings within central Africa have been been reported for more than two centuries by native fishermen, missionaries, and explorers. The animal is said to be herbivore about the size of a hippopotamus or elephant, and mainly aquatic, coming onto shore to search for food. It has a short (squat) body, a long neck and clawed feet. Its name, rendered in the Lingala language, means "Name means::blocker of rivers". Numerous expeditions have been conducted to search for solid evidence, many within the Congo River basin of Republic of the Congo, Gabon, and Cameroon. Within the basin exists the largest swamp in the world (the Likouala Swamp) which is roughly 55,000 square miles, larger than the entire US state of Florida. According to government reports, the area is more than 80% unexplored, and has therefore been the focus of several cryptozoologists. ↑ Mokele-mbembe: a living dinosaur? by David Catchpoole. Creation 21(4):24–25 September 1999. ↑ In Search Of the Congo Dinosaur by William Gibbons. Acts & Facts, July 2002. Is the Ropen a Rhamphorhynchoid Pterosaur? by Jonathan Whitcomb, C.C.V. This page was last modified on 4 November 2013, at 06:16.